I remember back many years ago, back in elementary school the teachers told us about a very scary monster called the HOLE in the OZONE LAYER! 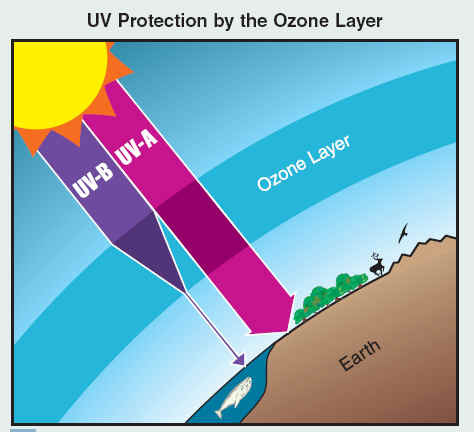 In class we discussed how the ozone layer; which protects the earth from radiation was disappearing. The result would be that the earth would get really hot and we would suffer from skin cancer and blindness. Yes, a very scary monster indeed! Then there was nothing, no more news coverage, no one talked about, no one seemed to even remember it ever existing. The big issue slowly shifted to global warming and carbon dioxide, but what ever happened to the hole in the ozone layer? 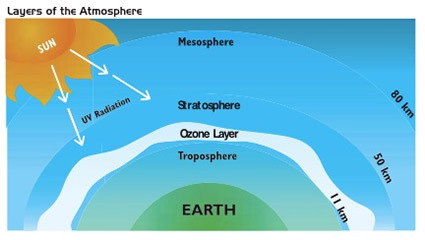 The ozone layer is located in the upper atmosphere, in a region known as the stratosphere. It is comprised of ozone – three oxygen molecules, and is responsible for shielding the earth and its inhabitants against cosmic ultraviolet radiation. In the early 1980’s a hole in the ozone layer was detected above Antarctica, and increased levels of UV-B light were reported in various other regions. The cause of this was a thinning of ozone layer, and the suspected culprit was a group of chemicals that upon photolysis; released chlorine and bromine atoms in to the stratosphere. Once broken down by sunlight, the atoms interact in a catalytic chain reaction that release oxygen atoms, thereby breaking down the ozone layer. Just a few weeks ago, a family was poisoned in the U.S. Virgin island by what turned out to be a toxic pesticide known as methyl bromide. A toxic broad spectrum fumigant, methyl bromide is primarily used in agriculture to control microorganisms, weeds, and nematodes in soil and on grain stored in silos. This is done to prevent crops from being destroyed. Fumigants like methyl bromide are liquids that readily vaporize at ambient temperature. They are so volatize that their gas can escape even when used in enclosed spaces. This is how the Delaware family became poisoned, when the vapors from a room sprayed with the pesticide below them travelled upwards. Methyl bromide is known to be a potent neurotoxicant, but what is not commonly known is that in 1993, it was classified in the U.S. as a class 1 stratospheric ozone-depleting substance. Methyl bromide is one of the chemicals responsible for the hole in the ozone layer. The heavy colorless gas is often odorless, but at very high concentrations it has a sweet chloroform-like smell. It was first introduced in the 1800’s as a fire suppressant, by the 1920’s it was being used in fire extinguishers, but due to toxic poisonings it was withdrawn from this use in the 1960’s. It was also used as a refrigerant, but is use as an insecticide has continued; although restricted. 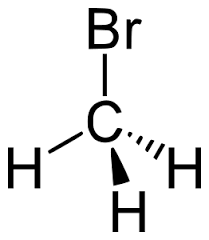 Methyl bromide reacts in the stratosphere where bromine is liberated. 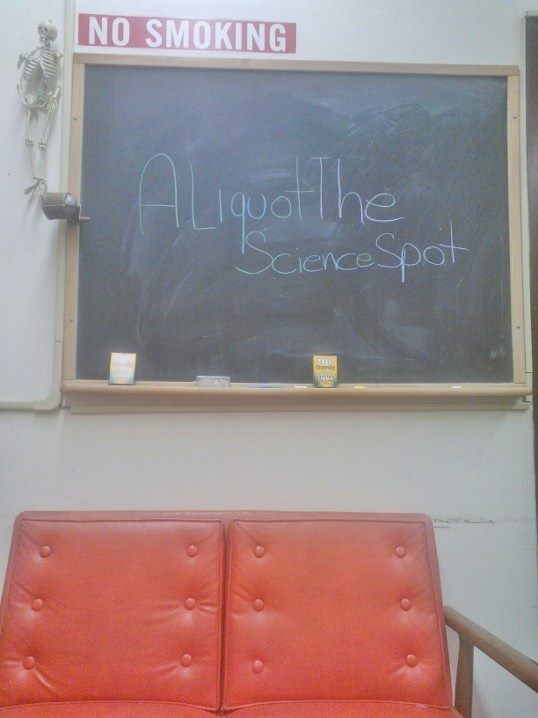 Bromine then reacts with ozone to from oxygen and bromine oxide, thereby depleting the ozone layer. As part of the Montreal Protocol it was scheduled to be phase out of use, but several times amendments have been made allowing for its continued use in certain locations and situations. CFC’S were developed in the 1930’s and have low toxicity and are non-flammable. They were commonly used as refrigerants(Freon) and propellants in aerosol mixtures such as hairsprays . CFC’s were predicted to be an ozone depleting substance in the 1970’s, and in 1987 as part of the Montreal Protocol over 160 nations agreed to reduce production and use of CFC’s. They are very stable chemicals that can persist in the atmosphere for years, allowing them to cause damage to the ozone layer for decades. One chlorine atom can destroy several thousand ozone molecules in the stratosphere. For this reason they have been phased out and replaced with less harmful hydrofluorocarbons (HFC’s) and hydrocarbonfluorocarbons (HCFC’s). While the hydrogen in HFC’s and HCFC’s minimize the transport of chlorine-containing compounds from rising into the stratosphere, they can still contribute to ozone destruction. Ozone layer depletion was the consequence of certain air pollutants. As part of the Montreal Protocol and the Clean Air Act, the United States has ended its production of CFC’s and other ozone-depleting substances such as methyl bromide. Since these pollutants have been minimized and the current content in the stratosphere is degrading overtime, the ozone-layer has begun to replenish itself.